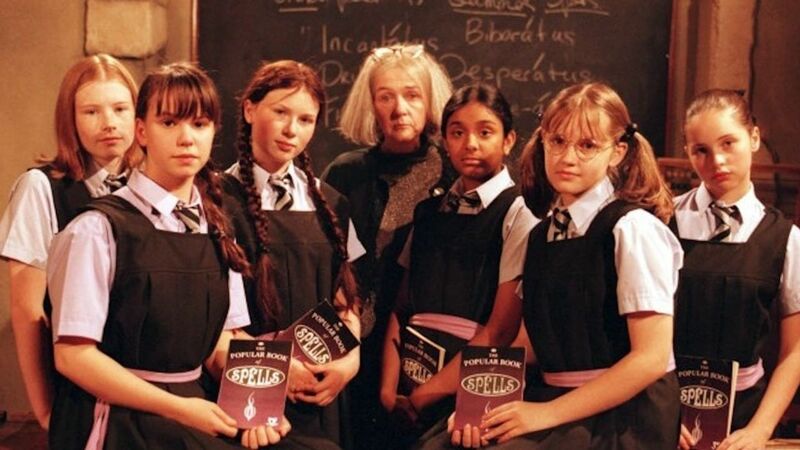 Here's where to watch every episode of The Worst Witch season 1. Mouseover or tap an episode to see where to stream it. Click or tap the play icon to stream it on the best available service. When We Feast at the Midnight Hour Oct 29, 1998 Mildred and her friends can hardly stand the food they're given to eat at lunch, and she gets caught trying to dump it in the garbage bin by Miss Hardbroom (by spilling it all over her!) Miss Hardbroom of course takes the issue to Miss Cackle, who decides that she should eat whatever the girls are given to eat. Somehow (I can't remember this part very well), Mildred finds herself in the kitchen, and finds out that the cook is able to make incredibly good food (including pizza!) but isn't allowed to because of school policy. Meanwhile, Miss Cackle decides that the food the girls are getting is barely edible, and so sneaks down to the kitchen at night to have some pizza herself. In the end, Miss Cackle declares Saturday to be 'pizza day' and Mildred is applauded as a hero by the other girls. Sorcery and Chips Jan 7, 1999 Mildred is looking after 'Bonzo', who is Ruby's cyberpet (well, at least it isn't one of those ruddy Tamagotchis!). After the potion lab is destroyed, Bonzo goes missing.... Ethel's dad, who's on the board of directors, visits the academy, and convinces the teachers to set up a computer system. Bonzo makes his return, but he has been affected by magic as a result of the potion lab's destruction.... Bonzo connects up to the computer system and uses it to hypnotize everyone to try and help him take over the world when the system is connected to the net.... Mildred, with some help from a third year, are able to break Miss Hardbroom from the spell who then proceeds to defeat Bonzo just in time! Let Them Eat Cake Jan 14, 1999 After being foiled in a plot to steal sweets from Mildred and her friends, Ethel decides to lure them to an out-of-bounds tea room in the woods to get even. The girls meet a nature-loving businessman named Sam, who has trouble standing up to his overbearing boss. Meanwhile, Miss Cackle is already at the tearoom, but she can't let Miss Hardbroom find her.... When they find out about Sam's role in a web of deceit to swindle the tearoom's owner out of her land, they also find out that his boss is planning to build a polluting factory on the land! They then help Sam stand up to his boss by driving Sam barking mad. And after avoiding the wrath of Miss Hardbroom they gorge themselves on sweets! A Bolt from the Blue Jan 28, 1999 It's the end of the year for the student witches, and Mildred's incantations still don't seem to work as well as intended. To cure a case of hay fever brought on by one of Mildred's errors (""Exfoliatus!"" ""A CHOO!"") the other teachers give Miss Cackle what they assume to be a remedy potion, but which is in fact a mislabeled experiment of Miss Hardbroom's. The other teachers make no mention of the mishap, even when Miss Cackle's behaviour takes a turn for the malicious. It is Mildred and company, however, who realize that it is not Miss Cackle, but her evil twin back to cause more trouble. Mildred saves the day, for which she earns a raise in her final grade from C-- to A+.